Strands of cobweb supporting lots of sparkling droplets of water. A drop of drip. But not an April shower. Late May, actually. Can you believe it’s June today??? It’s going to be my wedding anniversary in 3 weeks. I swear it wasn’t 2 years since we got married!!! The WPC this week was Jubilant. Which means really cheerful. Well I’m stuck into editing my next book at the moment, it should be out in a few weeks time, I’ll let you know, but I did get some beautiful pictures of cherry blossom this week and I do always think the pink snowfall of cherry blossom is one of the happiest sights in the world. It always reminds me of wedding confetti only you don’t have to be at a wedding to enjoy May blossom. In Japan they hold festival celebrations for it. A dandelion amidst the fallen petals. This week’s Weekly Photo Challenge was Admiration. I’ve explained why this fits the bill underneath. If you can’t take the bunny to the garden, you’ll have to take the garden to the bunny. Fifer is a rabbit I admire. This week you had to show something or someone you admired. I was totally going to do this the day after my last post but I had a bit of trouble with this one because I tend to either admire people from afar or, if it’s some one I know, I’m generally unable to post pics of them on my blog without their consent. Which they tend not to give, since most of the people I admire (my Dearest, for example) have important jobs they wouldn’t want to tangle up with my blog which sometimes borders on the unconventional (let’s say), I struggled to think of something. Poppy (black and white) hiding her injured paw and Fifer (brown) try to start a conga line. Poppy, one of our bunny rabbits, got hurt last week playing in the garden. So while she was recuperating we moved her and Fifer, her boyfriend, into our kitchen in the spare indoor hutch. Used to going outside whenever they like (their home has 24/7 indoor outdoor access) it’s been especially hard on Fifer, who is half-wild. I admire how he’s tried his best to take the new surroundings in his stride, despite being unhappy that he can’t play out when he wants to, and I admire that he has done everything he can to look after Poppy. You may not remember that Fifer was so antisocial when we first got him that he nearly killed a bonded pair of rabbits by premeditatively breaking into their run and attacking them at a time of day when I and my Dearest were not at home. He had issues, and we got him a new friend (Katie) to help him socialize. When he lost Katie, he seemed to be going back down that path, and for a while I had to keep him and Poppy separate because he was just rejecting her and she was being all fighty with him. But it’s 6 months later, and he’s taken to Poppy so well that he has done his utmost to make her comfortable while they’re indoors. As a treat, I decided that since we couldn’t take the bunny rabbits to the garden, I’d have to take the garden to the bunnies. 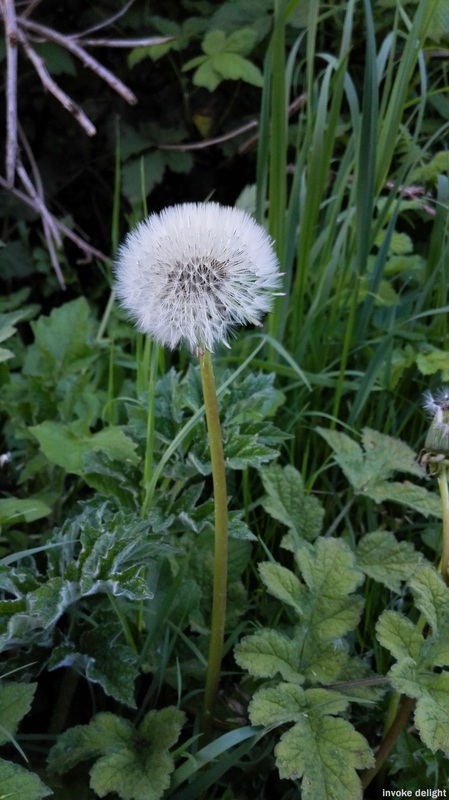 So I dug up a big triple dandelion (do they grow on top of each other everywhere or just in my garden) and put it on some newspaper in the kitchen. I hope my Dearest doesn’t mind too much when he gets home. Last year’s cherry blossom (aka May blossom), taken with last year’s camera. It has been long gone for 10 months now, after these petals tumbled to the floor in a blushing snowdrift. How differently will the blossom be that grows this year? This is my first weekly photo challenge from here, the theme was time. I am still a bit new to all this photography stuff so feedback would be appreciated! So I thought the world needed more pictures of things, and decided to post these pictures of flowers to inspire and delight you all (and me, I like looking at pretty things too). 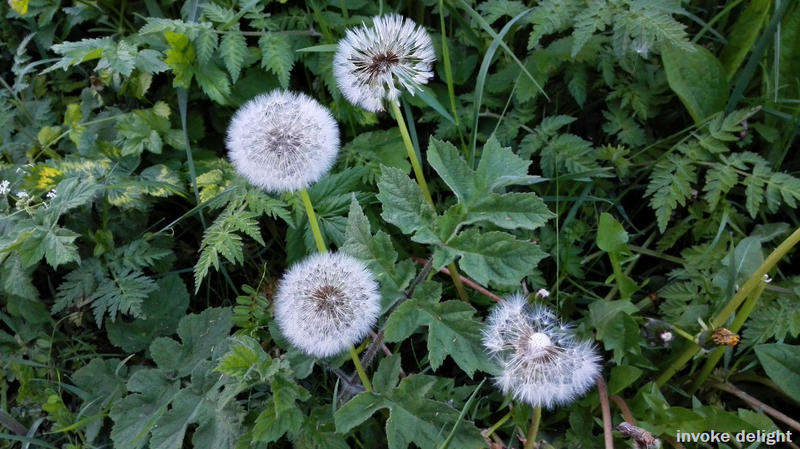 Dandelion clocks, on the verge of telling the time. 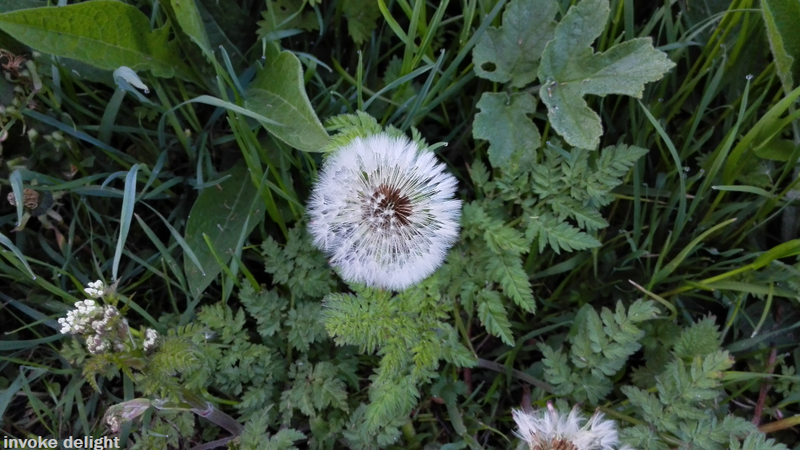 Another dandelion clock. I love this moment in time, when such a delicate natural process is taking place. 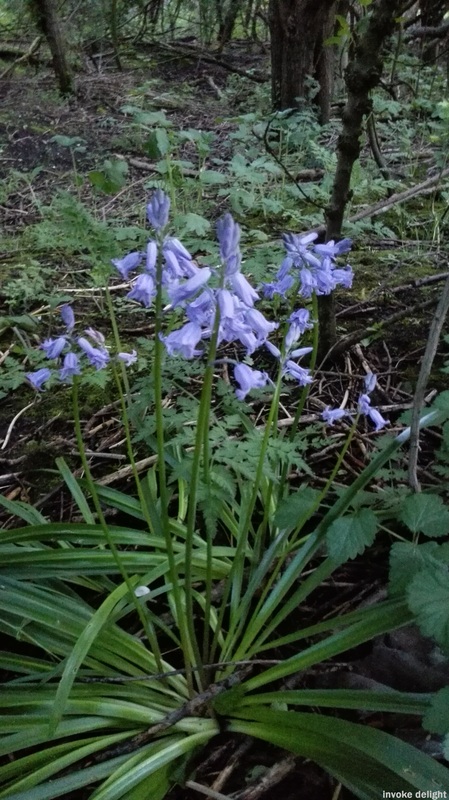 Bluebells in a forest. I was amazed at how the depth came out in this picture. 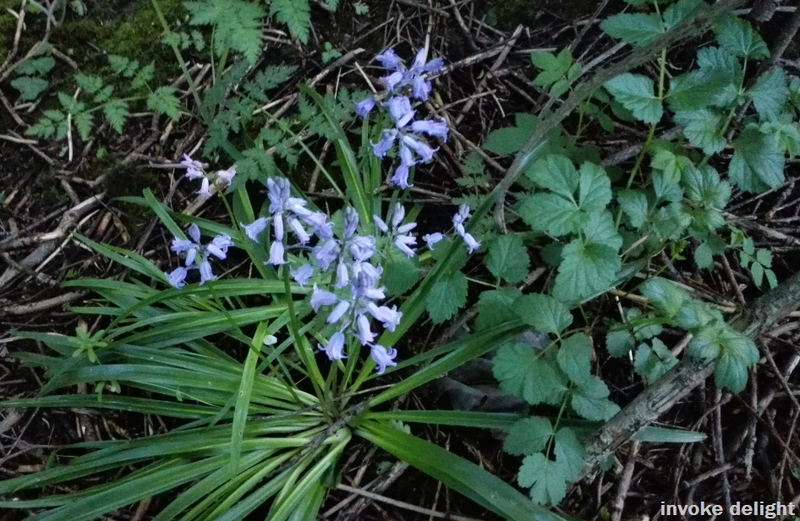 This is another moment in time that I really love – that brief time of year when the bluebells come out. 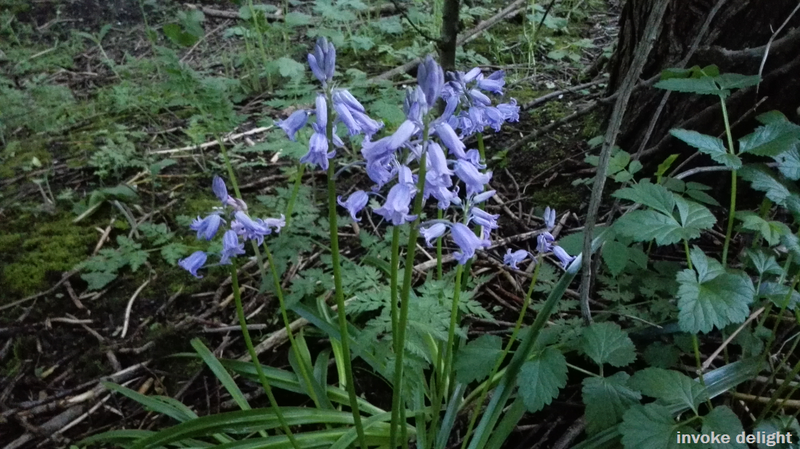 Bluebells in the forest from a different angle. They’re prickly to touch but beautiful to look at. 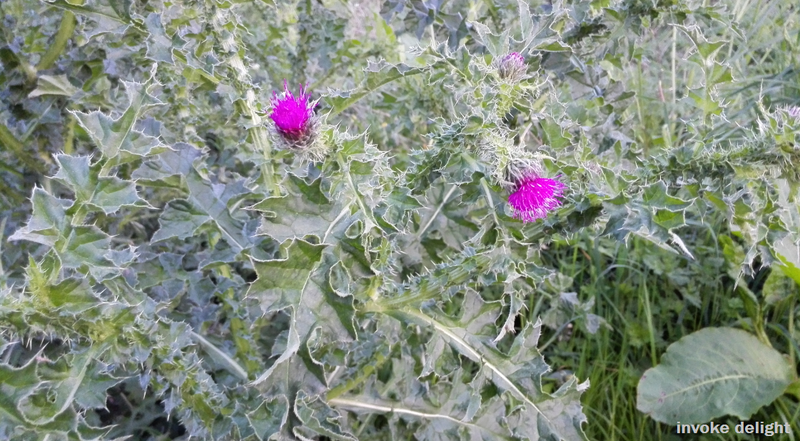 Although, unlike Eeyore, I don’t think I’d want to eat thistles! 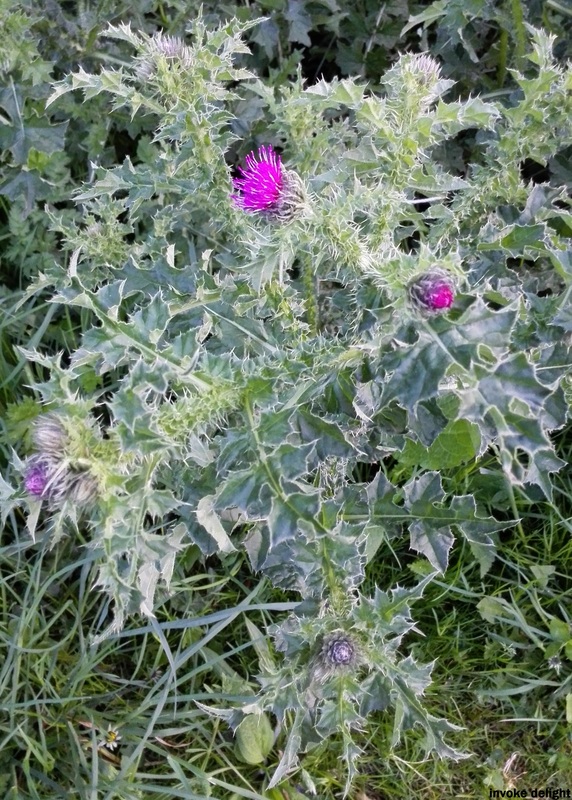 Another set of thistles. The pink is so striking against the green that I had to get a picture. Like with the pictures of clouds and sunsets, feel free to use them although if you can link back to me in some way it would be appreciated. I don’t modify or retouch or colour-up any of my photos, this is just how they looked in real life.